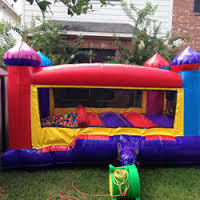 The Mini Castle and Ball Pond combo bounce house from Ninja Jump brings together an inflatable jumper with a ball pit for plenty of bouncing activity and motor skill fun. 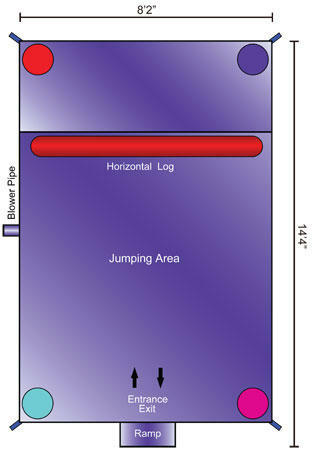 A horizontal log separates the ball pit from the large jumping area, so players can choose whichever activity they want. A bright color scheme is enhanced by four tall towers in each corner, making this bounce house an inviting draw for all guests at your event. 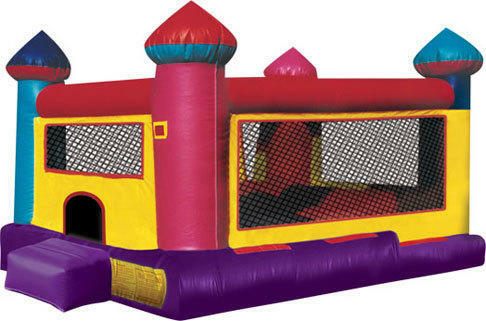 The Mini Castle and Ball Pond combo bounce house is the ideal way to promote social skills, confidence, play and exploration for children.